Yesterday evening, Mikey Aaronson, 29, wasn’t seated at his family’s Rosh Hashanah dinner more than 10 minutes before the regular ambush of comments from family members about his slender build started to fly across the table like the locusts of the ten plagues of Egypt. “Oy vey! You’re so skinny, do you even eat? !” Aunt Barb remarked with overcooked kugel hanging from her lower lip. Every year as members of the Jewish faith mark the beginning of the Jewish New Year, Aaronson travels from his current residence in Austin, Tex. to his family’s home just outside Chicago just to be reminded of how he doesn’t consume nearly enough calories to stay alive. 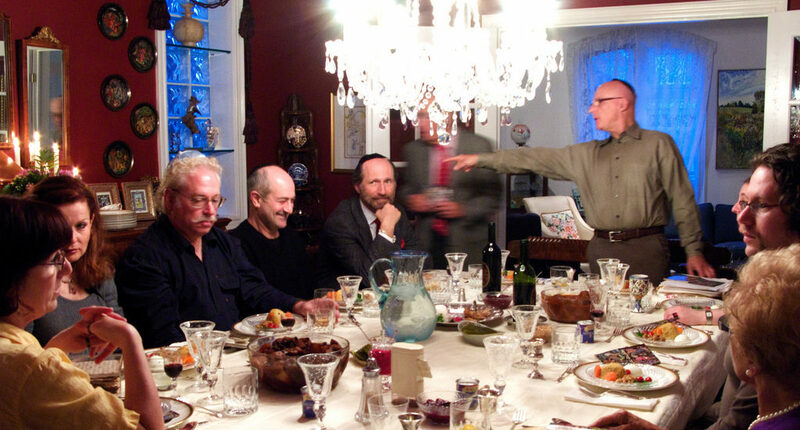 The not-so-subtle comments didn’t conclude, even upon witnessing Aaronson’s empty plate. After attention focused away from Aaronson, family members quickly began to tease Uncle Larry for eating entirely too much. VENT! on the Street: How Would You Fire A Coworker?